Photos of Dyer, Indiana, located in western Lake County in Northwest Indiana along the Illinois state line. Dyer, Indiana is full of history is was a popular stop in the late 19th and early 20th century along the Sauk Trail, now US 30 / Joliet St in downtown Dyer, Indiana. 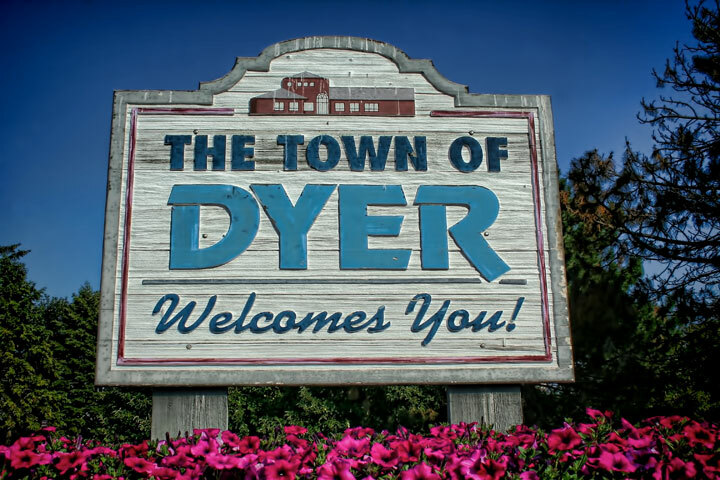 Today, Dyer continues to grow with new subdivisions, new parks, an Amtrak station, a possible future South Shore Railroad Station, and plenty more. Popular photos of Dyer, Indiana include photos taken at Pheasant Hills Park, downtown Dyer, Northgate Community Park, and other areas around Dyer. © 2006 Joey B. Lax-Salinas, all rights reserved. For more information about licensing this photo for commercial use, please visit www.northwestindianaphotos.com/licensing_information/.